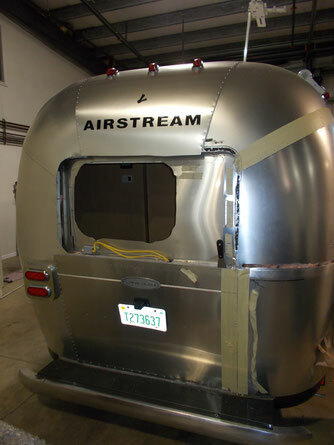 PROFILE STATELINE SUPERSTORE is a New Enghland Wide Airstream Service center specializing in all things Airstream including Body Panel Replacement. 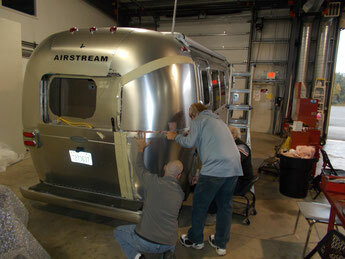 Our State-of the Art Body Shop in Lebanon, Maine repairs all Airstreams. Our NH Body shop, just celebrated their 100th anniversary. No other Body shop can boast this type of experience. · Total of 30,000 square feet showroom and service area! · Both areas have In Floor Heating and Overhead AC!